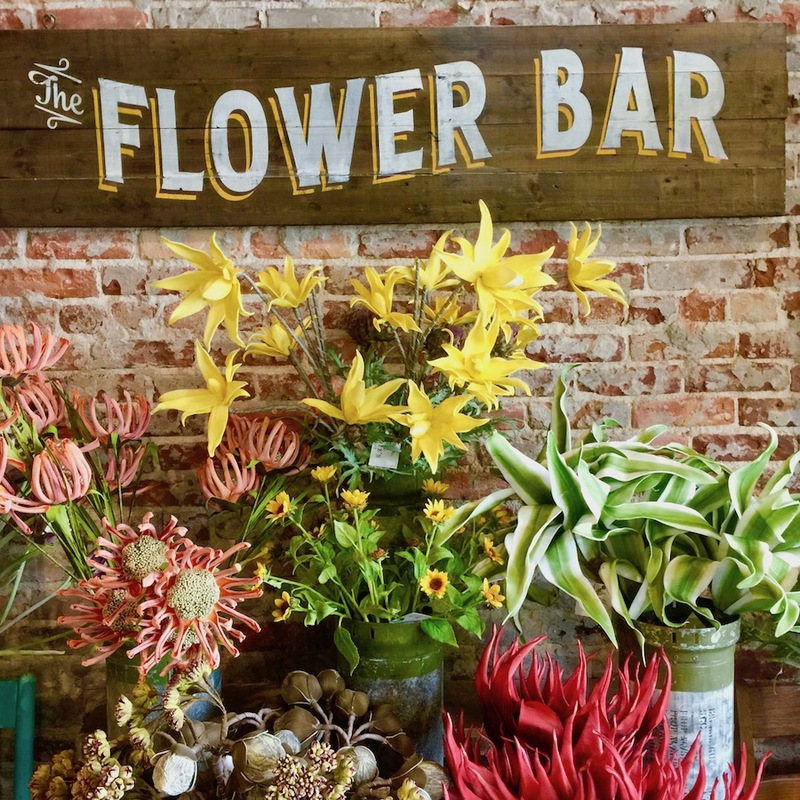 Why not take a break from the highway to taste the foods of fine southern chefs and stretch road-weary legs with a stroll around an historic downtown square? The bonus factor distinguishing this food tour is the ease with which travelers can resume their road trip. Lingering or overnighting in Valdosta is quite fine too with multiple options. 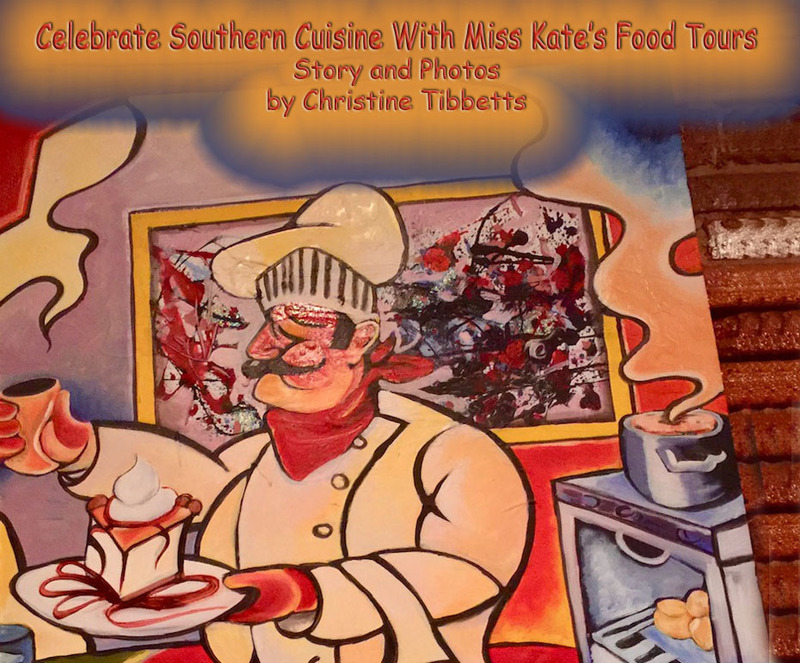 Miss Kate's Tours invites people to delve into the flavors of at least four of nine downtown restaurants, all during a stroll from the front lawn of the 1905 courthouse. 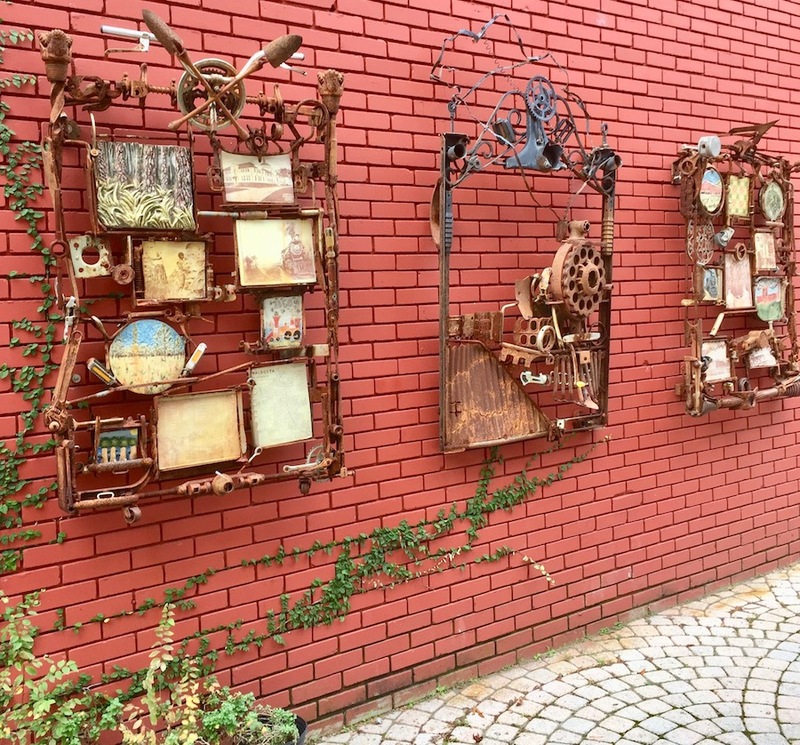 Foods with a regional flair are also likely to appear for sharing in boutique shops and galleries along the half-mile tour, especially extra virgin olive oil from Georgia Olive Farms in the eclectic Art and Soul shop. Travelers can join a mid-day food tour or an early evening event with wine and beer tasting too. Fridays and Saturdays form the main schedule but private groups can ask for a different set-up. 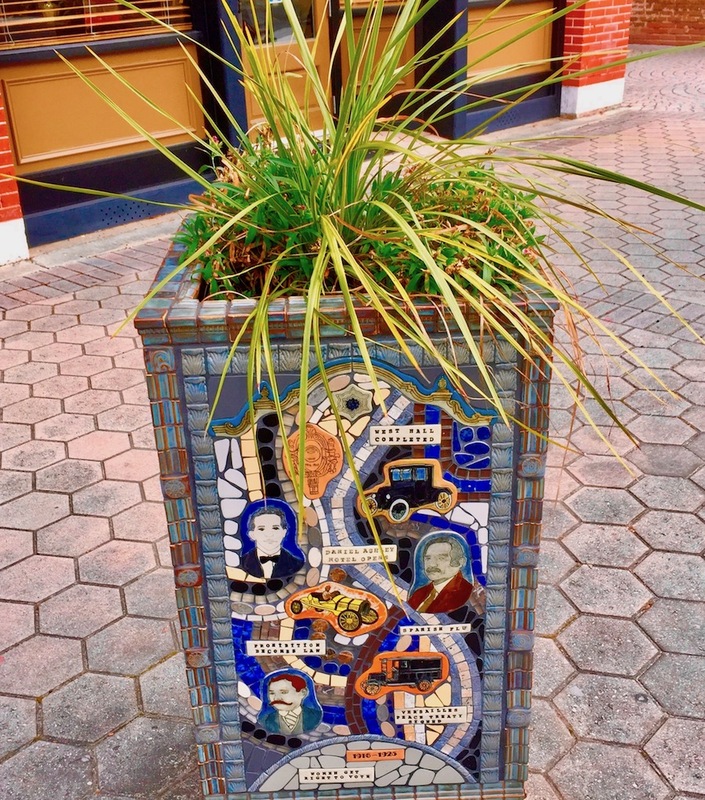 Here's where the culture and history join in: Kate is actually Kathryn Valler, a California native who has lived throughout the U. S. now turned enthusiastic Valdosta resident. Kate's business partner Maria Perez is also her sister and an intrepid road tripper herself. Perez honed the skill of identifying engaging stops on long road trips; she drives between Georgia and California, spending six months in each. Then there's Kate's husband, David Valler who handles the office management. That behind the scenes stuff is sooo important. 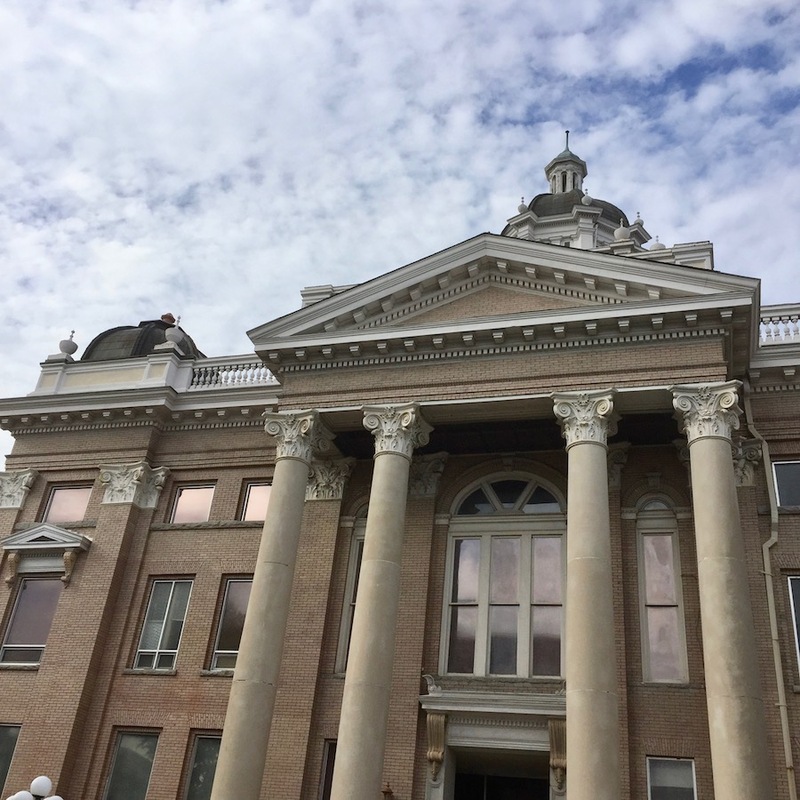 The sisters lead the tours, sharing stories of Valdosta history, architecture and downtown intrigue which they considered appealing in their recent research. I found their fresh versions loaded with personal enthusiasm, the pleasure of discovery instead of information they'd known all their lives. Miss Kate's Deep South Tours designed a third option, and this one probably calls for spending the night. Once a month, Chef Charles Wiggins guides a cooking class in his fine-dining restaurant named The Bistro. "Novel Foods Cooking Class" is the title and also the description: the three-course learn-to-prepare menu is built around a popular novel! Wine pairings included. "Joy Luck Club," "Gone With The Wind" and "Game of Thrones" have already happened. Where else might you have traveled to learn medieval cooking skills? Two of Miss Kate's showcase eateries share the same chef and owner - Keira Moritz - yet present strikingly different experiences. "Birdie's Market is the little sister to Steel Magnolias," Moritz suggests, "but full-mouth flavors dominate both." Think of Steel Magnolias for a seated meal with exquisite service and look to Birdie's for the free-floating feel of street food, but inside. Birdie's is all about meeting people, with shopping options too. 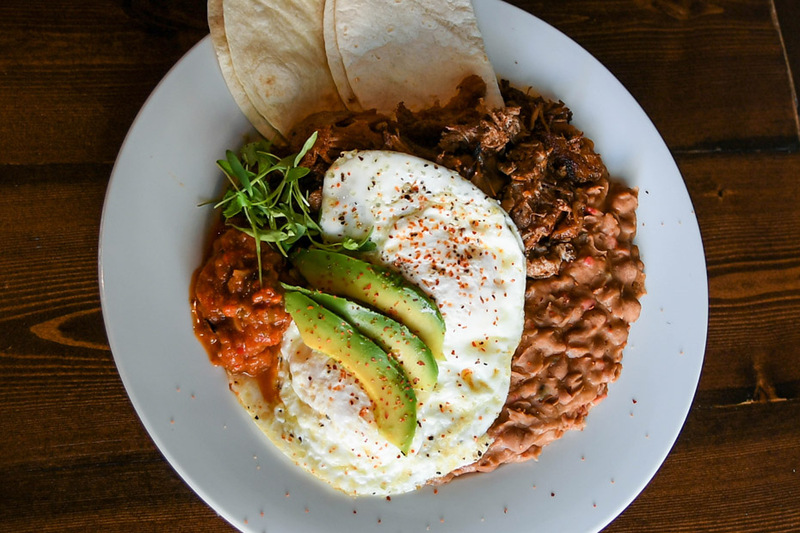 Chef Keira Moritz's Huevos Rancharos is a good choice here. Anticipate culinary-themed wares and hand-crafted works of artisans. 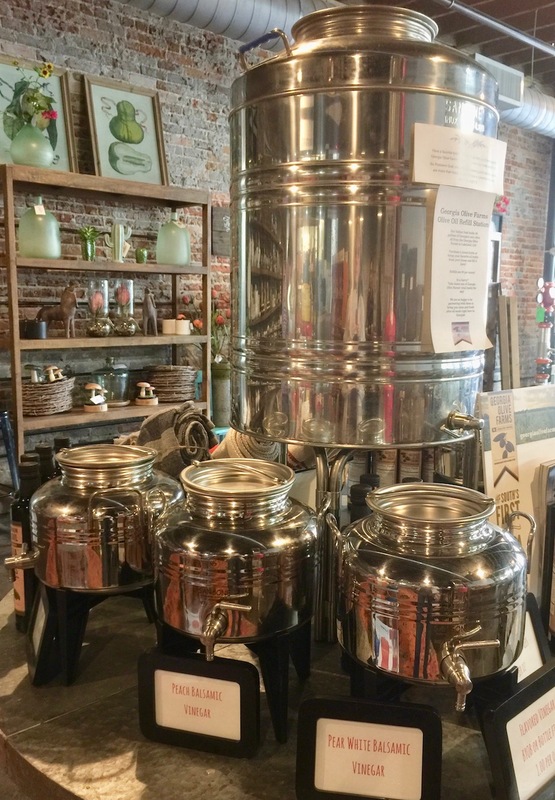 Birdie's is also the place to refill your jug of extra virgin Georgia olive oil each road trip. Be sure to sip a green smoothie and marvel at the blend of pineapple, spinach and mango. "We're happy to tell you how we made what we served you, and how you can do so too," Chef Moritz assures. Cooking classes are also a possibility. The Bistro captures your attention just walking through the front door: warm brick walls, big rectangular paintings in bold colors and familiar motifs, baby grand piano indicating live music events. Executive Chef and owner Charles Wiggins lends a personable touch to the handsome ambience, easily chatting about the menu or the art or the charms of downtown Valdosta. "With a lot of people interested in cooking, as a profession or personally," Wiggins says, "we see ever greater interest in wanting to experience exceptional flavors." The Bistro menu is extensive --think big pages with sort-of-small type to spell out all the choices. Crab bisque and crab cakes rank high on customer favorites, he says, as does the Drunken Angus steak, and the lamb. Visit all three rooms while you're there: first, table seating and an expansive bar. 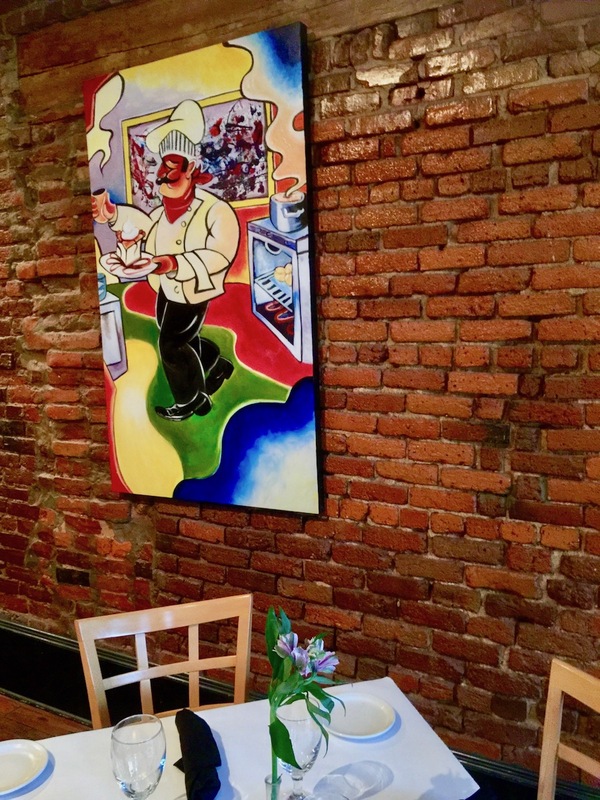 Second, a dining room with more bold, colorful and alluring art on the brick. Third, the room for Miss Kate's Novel Foods cooking class. A visit to the 60-acre farm in Lakeland where Georgia olives grow and their oil milled is fascinating, and a tasting of the extra virgin oil from Georgia Olive Farms during a Miss Kate's food tour is enlightening too. Who knew? 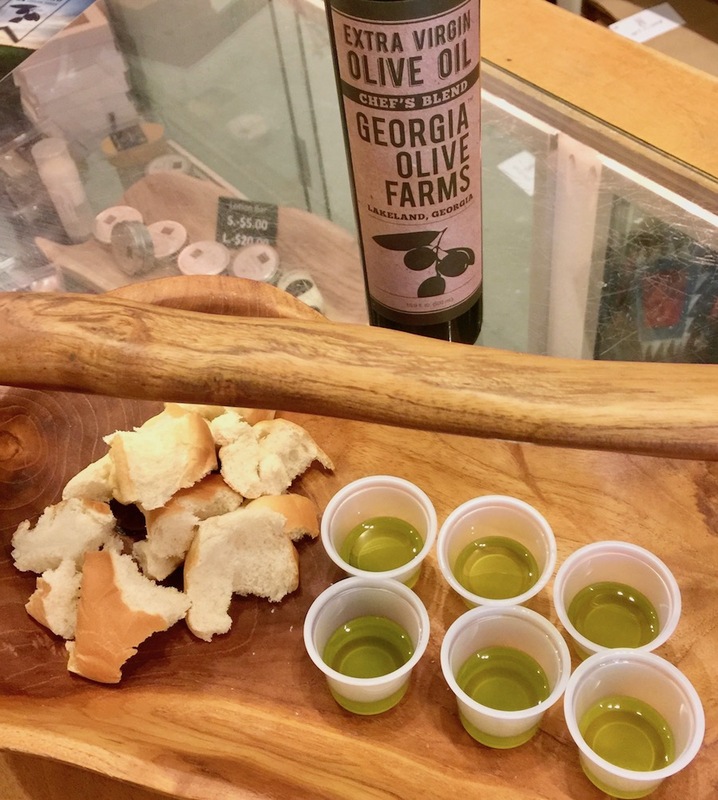 "True extra virgin olive oil will give a little kick in the back of your throat," teaches Vicki Shaw Hughes on a tasting in the shop named Art and Soul. Warm that first swallow in a small tasting cup in your hands she advises. When you're sure you have the true, pure, top quality, Hughes says, take a shot a day. That's another foodie path to good health. Restaurants for visiting/sampling plus Georgia olive oil at Art and Soul. Each month new cuisine inspired by a different book. Italian cooking forms the class Apr. 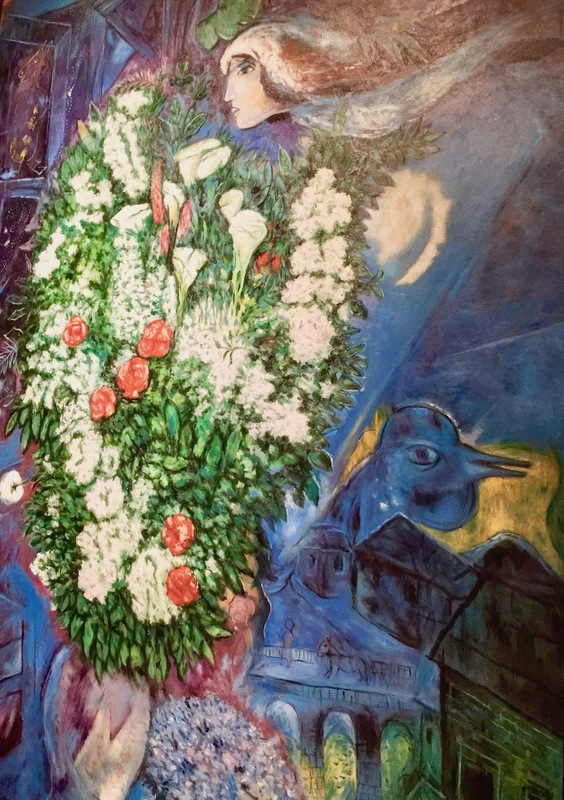 19 for "Under the Tuscan Sun."